A true Southern jewel, Charleston is said to be one of the most beautiful cities of the South. Because of it’s rich Civil War history, Charleston draws thousands of visitors each year. The Civil War Walk, the Slavery and Freedom Walk, and the Ghosts and Legends Walk all brings history to life on a daily basis, right in the heart of downtown Charleston. Charleston also offers many events and attractions for all ages. From award-winning restaurants and top-rated shopping to unbeatable golfing and a multitude of rich cultural festivals, the charm of this little city will appeal to everyone. South Carolina family vacation travelers should also visit Myrtle Beach for the Golfing Mecca, Shopping, and Exciting Nightlife options it offers. Follow the links below to compare rates, hotel ratings, amenities and view photos. 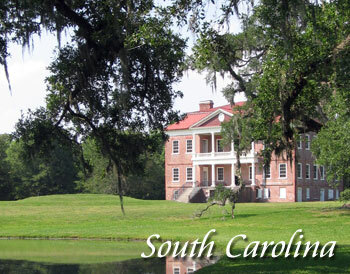 Contact us to feature your South Carolina hotel or lodging property. Considered to be one of the most charming cities of the South, Charleston S.C. draws thousands of visitors each year in search of antebellum and Civil War history, a charming and surprisingly cosmopolitan downtown and several nearby beaches.